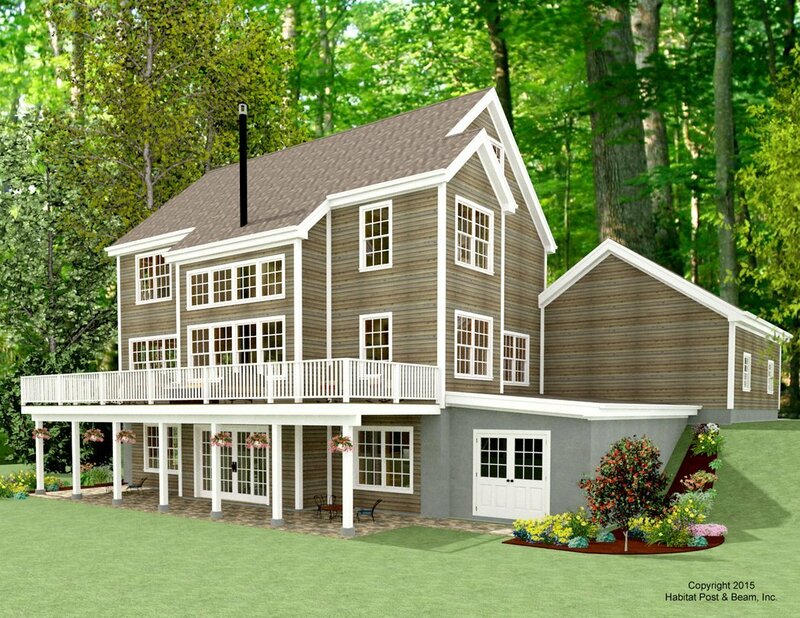 This custom home with a walkout level has a colonial/farmhouse feel, with traditional aesthetics. The main level is about 1200 sq. ft. and includes a central living area with a woodstove, as well as the dining room and a reading nook on the back side. 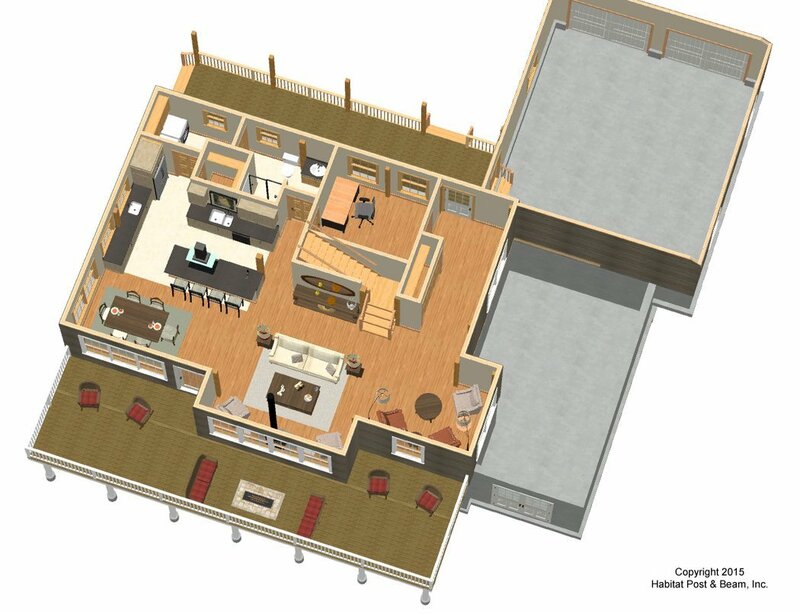 To the front of the main level is the kitchen, a study (which could be used as a main level bedroom), entry, and full bath with laundry room. The flat ceiling area of the main level uses our Plaster and Accent Beam Mid-Floor system (http://www.postandbeam.com/floor-framing-system), and the walls are our Full Exposure Framing system (http://www.postandbeam.com/wall-framing-system). Upstairs is about 1100 sq. 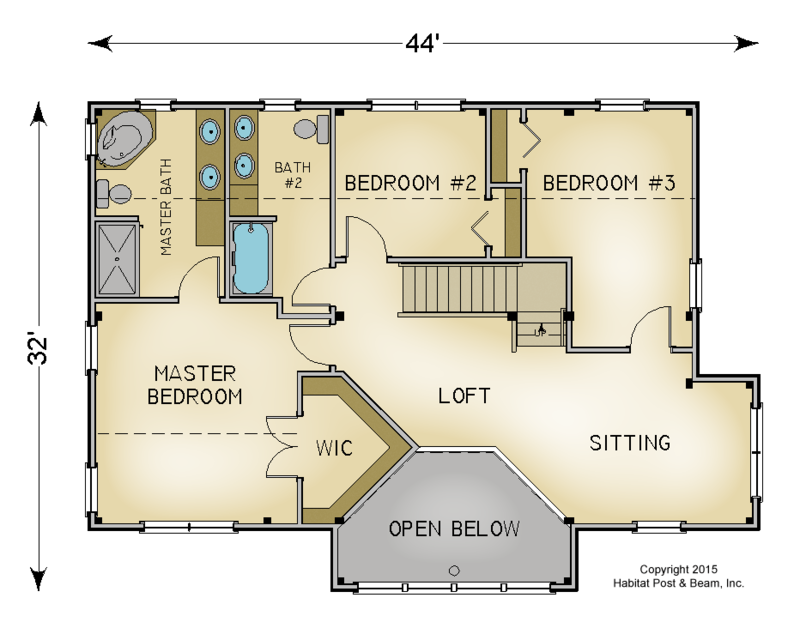 ft. and includes the master bedroom suite on one side, and two bedrooms and a bath to the front of the house. 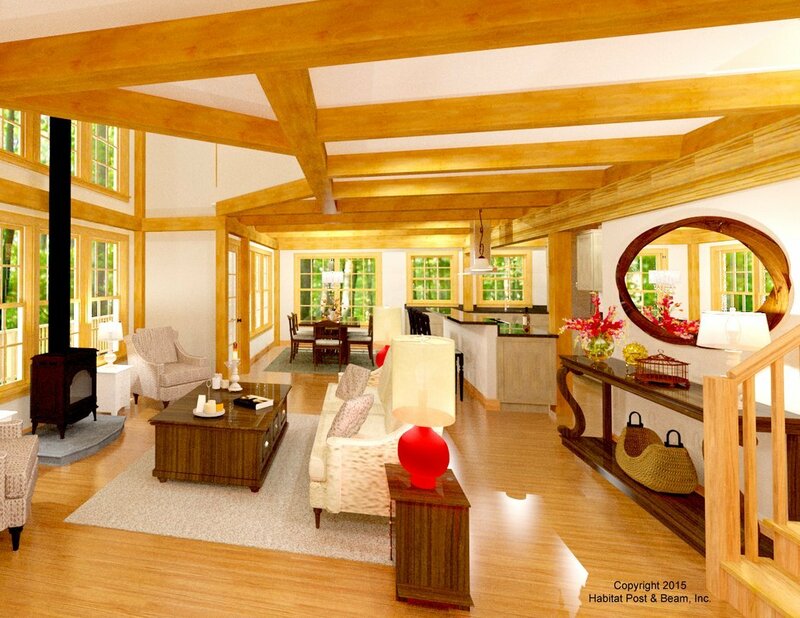 There is a loft sitting area to the back of the house that looks down onto the living area below. The upper level has our Beamed Roof System throughout (http://www.postandbeam.com/roof-framing-system). The walkout level basement includes two additional bedrooms, a bathroom, a game room, and utility/storage areas. (The attached two-car garage is designed by us, but not included in the Habitat package). Package Price: $196,500 as specified below (from $162,000 to $202,000 depending on framing options). The standard price includes our Full Exposure Wall System, Plaster and Beam or Beamed Mid-Floor System (same package price), and our Beamed Roof System. The entry porch is our Liner Porch System with a flat ceiling. The walkout level (daylight basement), and garage are not included in the above pricing. 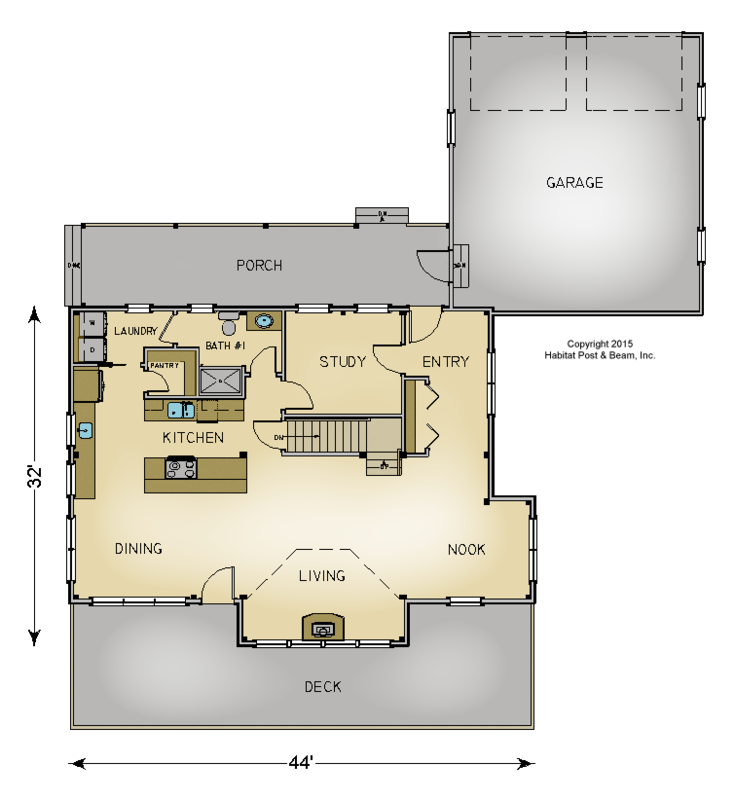 A third level loft was considered for this plan but is not included in the price.